Many of the awards are named in honour of special individuals whose passion and support for the Women’s have helped to make our hospital the organisation it is today. “The Women’s Foundation is so grateful to be able to play a role in developing such important work for women’s and newborn health and the people who deliver it,” Foundation CEO Jan Chisholm said. 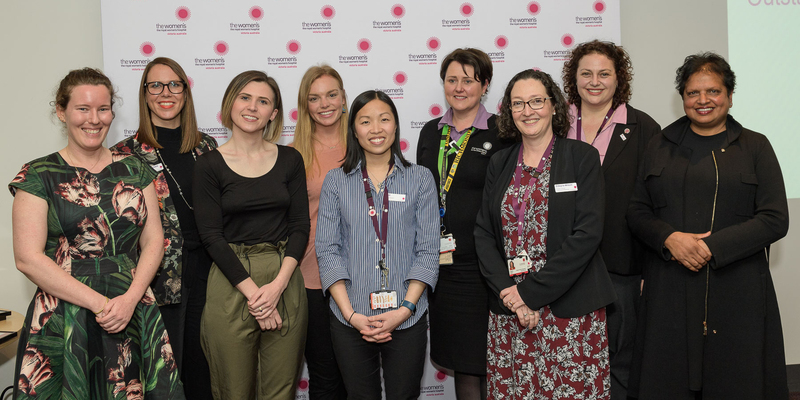 Congratulations to this year’s recipients, and a special mention to the Treasure Chest Charity – awarded the ‘Special Supporter Award’ for its tremendous contribution to the Women’s and Royal Melbourne Hospital’s Shared Breast Service. Under the leadership of its founder, breast cancer survivor Pratika Lal, Treasure Chest Charity has raised more than $1 million for breast cancer services at the Women’s.